Justine is a human-centred designer who thrives on creative problem-solving in a deadline-driven environment. She is passionate about research and user testing, which help provide evidence that a project is moving in the right direction. She loves the process of design thinking and the amazing results it can deliver for users and businesses. Planned and activated a strategic publicity campaign for Spiegelworld’s theatrical production ‘ABSINTHE’ (National, Melbourne, Sydney, Newcastle). Prior to Nous, Justine worked as a publicity manager at a boutique, entertainment-focused marketing and publicity firm in Melbourne. She managed high-profile, strategic campaigns for clients such as Cirque du Soleil, Spiegelworld and St Petersburg Ballet Theatre. 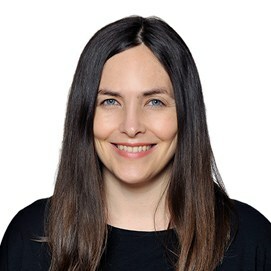 Before moving to Australia, Justine worked as a television publicist in Auckland, New Zealand where she promoted a range of local and international programs including Home and Away, Rove, 60 Minutes and What’s Really in Our Food. Justine holds a Bachelor of Arts majoring in Psychology and Media & Communication from Massey University in New Zealand. She gained professional qualifications in user experience design and digital marketing at General Assembly. Justine loves to spend her spare time cooking, traveling and exploring Melbourne’s arts scene.